Inside, the stars sing to him alone. If only his filtering algorithms were more incisive. Back to Geoffrey Landis home page. 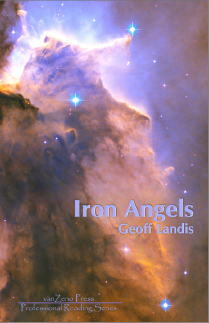 My collection of poetry Iron Angels is now out from VanZeno! order it now! !